The Korean drama Queen and I is on its last week at GMA 7. I’ll surely miss the fantasy-romance story, the kilig moments, and the adventure which allows history to be rewritten. This Filipino dubbed Korean soap is also called Queen In-hyun’s Man. Not the real Queen In-hyun of Korean history but a TV period drama budding actress, Regine Choi from the present meets Kim Boong-do of the past (300 years ago) due to the power of a monk’s prayer slip. It was given to a giseng (entertainer) who persistently prayed for Kim Boong-do’s safety. She was in love with him and served his family. The slip is only useful when his life is threatened by unexpected danger. He disappears from the past and travels to present time Korea momentarily. The same magic allowed Kim Boong-do to rearrange Korea’s politically tainted history by leaping back and forth in time to change how the past was chronicled at present. When everything is finally placed in proper order: the real Queen In-hyun restored to power, his family’s honor regained, and vile second prime minister executed; he chose to stay with Regine Choi whom he fell in love with him and who loved him back. Several issues with the talisman occurred. When it was cut in half, there was a rewind in time back to where it all started. All memories of Kim Boong-do were erased at present time except for Regine Choi. When Yoon-Wol (the giseng) was killed by minister Min’s right hand, Kim Boong-do returned to the past. Although the magic slip still worked when he was in danger, it permanently ceased to work after the monk who wrote it died. Kim Boong-do decided to burn the magical slip in hope to erase all memories of him from Regine’s mind and sparing her from misery. When past meets present, may future kaya? That is GMA’s tag line for the local dubbed version. Queen and I will end this Thursday. How does it end? 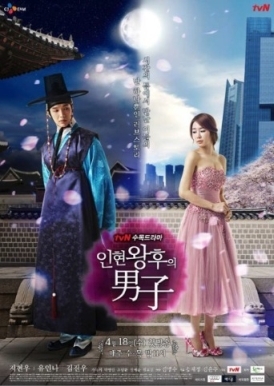 Read this - [Spoiler] "Queen In-hyun's Man" Happy ending.